Recently delivered SD9 in service on the Columbia Basin Railway at Wheeler, WA. 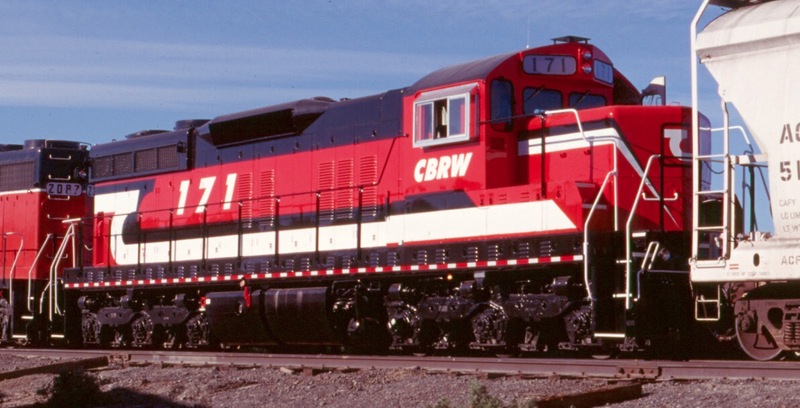 This one (and the 166) formerly served on the Duluth, Missabe & Iron Range. It may be hard to note that the paint was very fresh and shiny that day.